This is the wrist brace featuring the Boa® Fit System, a dial closure system for easily adjusting the compression and support to help relieve wrist pain. 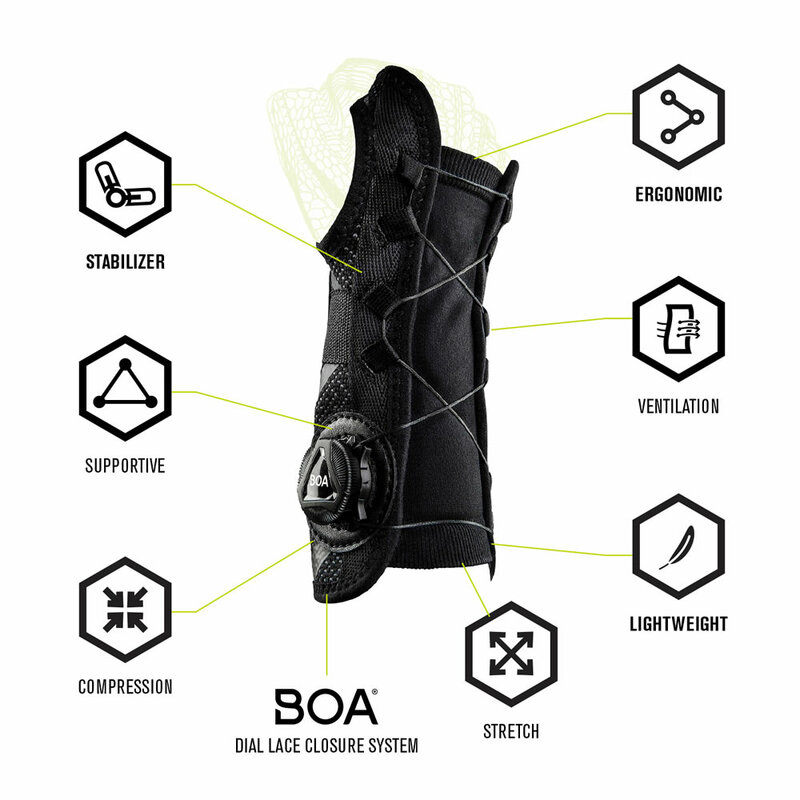 Rather than wrestling with bulky straps, users can fine tune the brace’s fit and comfort with a quick twist of a dial, the same closure system found on premium ski boots and bike helmets. 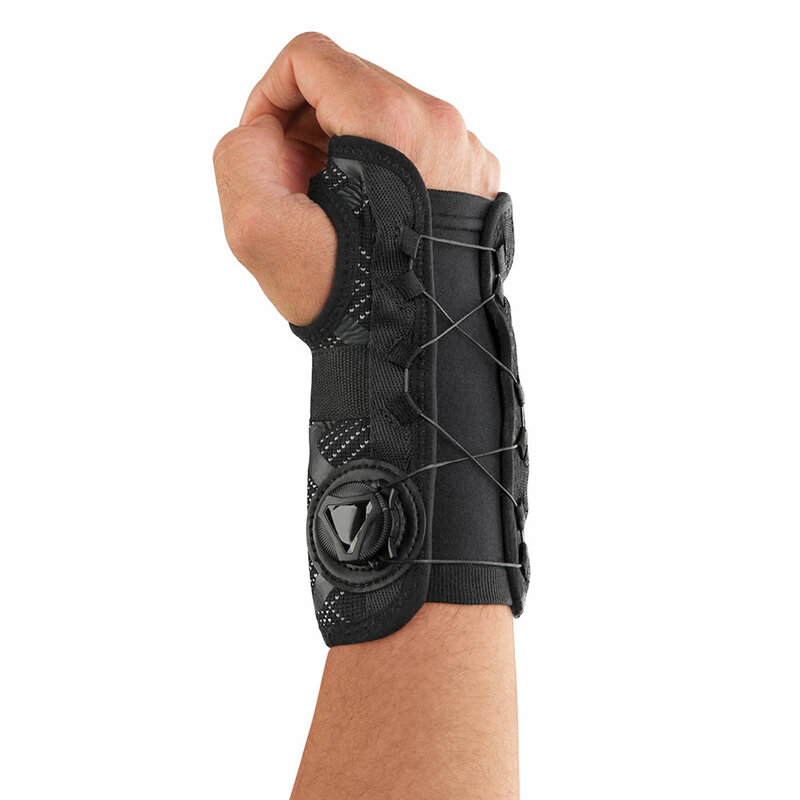 Made from a four-way stretch knit material for a lightweight fit, the ergonomic 7" brace has a spandex under-sleeve for breathability and comfort and a removable stabilizer for additional support. Hand wash. Specify left or right hand and size XS/S (4 1/2"-6 1/2") or M/L (6 1/2"-8 1/2") . 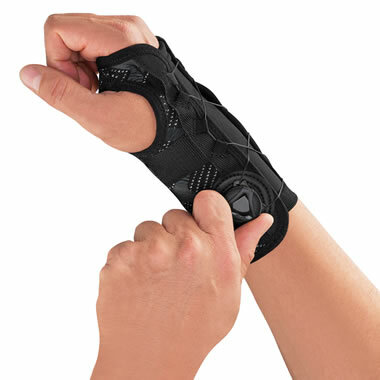 The Compression Adjusting Wrist Brace comes with The Hammacher Schlemmer Lifetime Guarantee. Items that we sell are guaranteed for their normal life under standard non-commercial use.